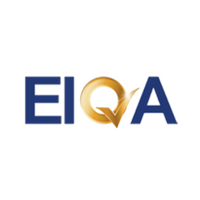 Excellence Ireland Quality Association is the proud Guardian of The Q Mark suite of Quality Standards. The company provides audit, assessment training and consultancy services across a wide range of business sectors. Customers of these unique programmes consistently state that their continued participation in the programme has had a significant positive impact on the overall performance of their business. 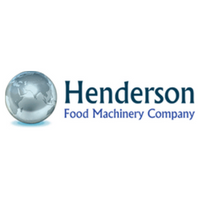 Henderson Food Machinery are Ireland’s leading supplier of new and used food processing & packaging machinery. Henderson Food Machinery is committed to finding solutions that will help our customers to grow and succeed in the marketplace. HFM company philosophy is to supply quality processing and packaging machines at competitive prices, our range is wide and varied, we supply all types of machinery into the meat, fish, poultry, ready meal, vegetables, bakery and contract packing industry. We have over 500 machines in stock at our factory in Crossgar Northern Ireland which customers are welcome to visit anytime. Our stock changes on a daily basis why not visit our website Hendersonfoodmachinery.com to view our extensive stock. Ireland’s inaugural Food and Drinks Business Awards are the first of its kind to focus on the production & manufacturing Industry. By becoming a sponsor, we can take your brand and put it before the primary decision-makers in the sector. Contact Tracey Carney on 01 6120880 or tracey@prempub.ie and your company can benefit from six months of exposure to Food and Drink sector.